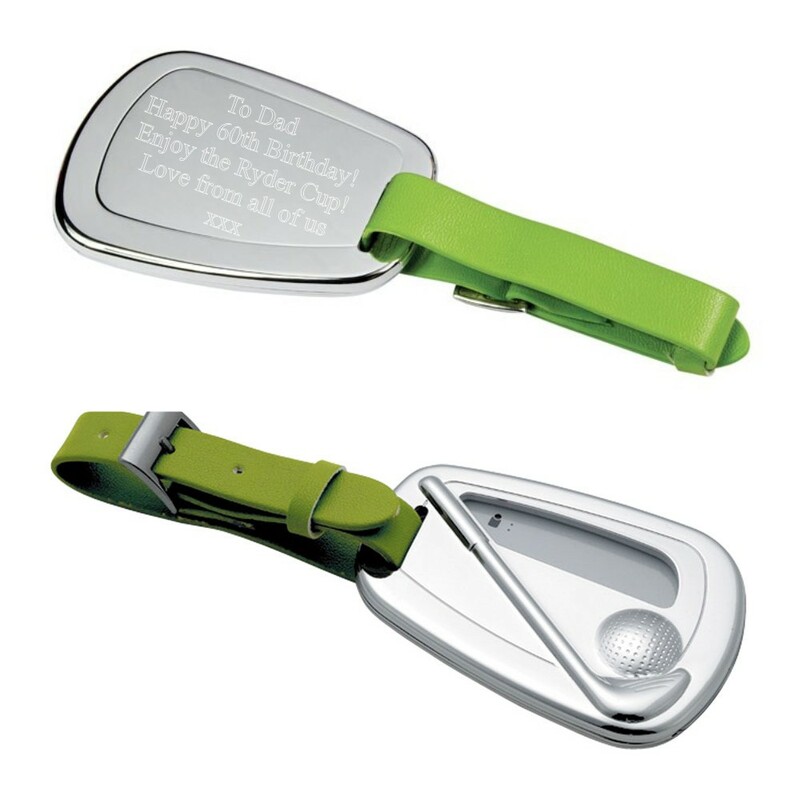 Personalised Silver Plated Golf Luggage Tag. This unique luggage tag measures 70 x 48 x 8mm, it is silver plated and on the front it has a golf club and ball. Inside you can fill out all of your details. Your engraving will be done on the back of the luggage tag. It has a green strap and buckle fastening.